Vivomixx® is available in leading pharmacies nationwide. Why is Vivomixx a superior product? 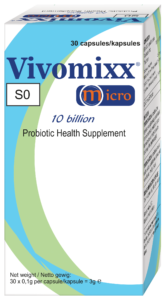 Vivomixx® is the world's most concentrated probiotic that contains 8 different strains of bacteria to help to maintain a healthy digestive system. The specific formulation contained in Vivomixx has been the subject of more than 60 clinical studies and over 170 original publications and approved by the major international gastroenterology associations. Vivomixx® was invented by a medical doctor and professor of infectious disease and immunology – Claudio De Simone, MD, PhD. These strains were chosen for their specific individual characteristic and their ability to work closely as a team to perform what single strains or other combinations of strains cannot do. Probiotics work in a variety of ways along your digestive tract – helping to balance the levels of microorganisms in the intestine and reduce the numbers of harmful bacteria that cause infections and other health problems. When beneficial bacteria are lost due to illness or treatment such as antibiotics, probiotics can help to replace them. Probiotics can help balance your beneficial and harmful bacteria to keep your body working like it should. The human digestive system generally contains over 500 different types of bacteria that play a vital and complex role in competing with harmful bacteria and performing the many functions necessary throughout our life, such as the integration of nutrients and production of vitamins for example. A poorly functioning digestive tract can greatly interfere with the quality of life and be the source of many health problems. It is therefore important to maintain a good balance of your intestinal flora to stay healthy. 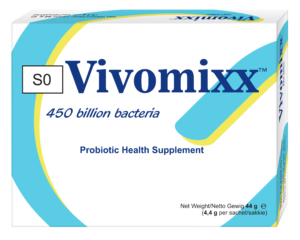 The cost of Vivomixx is directly linked to the number of bacteria – 450 billion per sachet, 112 billion per capsule and 10 billion per micro capsule which is often more than 10 times the number of bacteria of many other probiotics on the market. 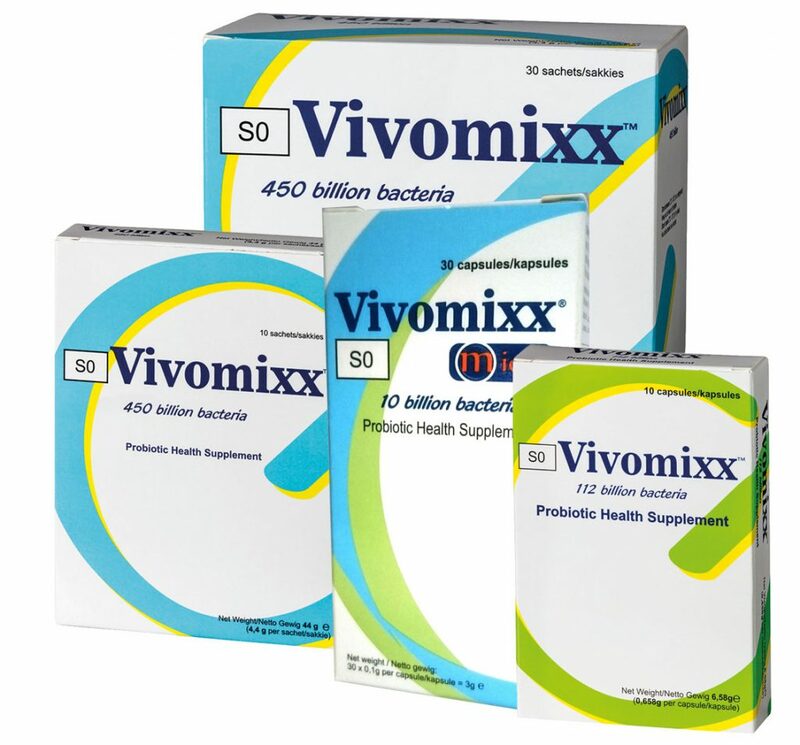 If you compare the number of bacteria you purchase, Vivomixx works out a lot cheaper. Why so many different strains? They all work in synergy to help restore and maintain the balance of your intestinal flora. 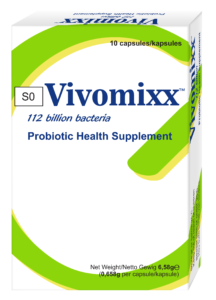 Vivomixx® helps maintain the balance of the intestinal flora. The recommended daily dose is 1-2 sachets or 1-4 capsules; dissolve contents of the sachet in water, yogurt or any other cold, non-carbonated drink or food and consume immediately. Do not exceed the recommended daily dosage. Capsules maybe taken with a glass of water or opened and mixed in water or yogurt. Vivomixx® is a food supplement and should not be used as a substitute for a varied and balanced diet and a healthy lifestyle. The bacteria contained in Vivomixx® are live and lyophilized, they are best kept refrigerated. You can keep Vivomixx® out of the fridge for up to one week without affecting the quality of the product. Do avoid high temperatures (>25°C).